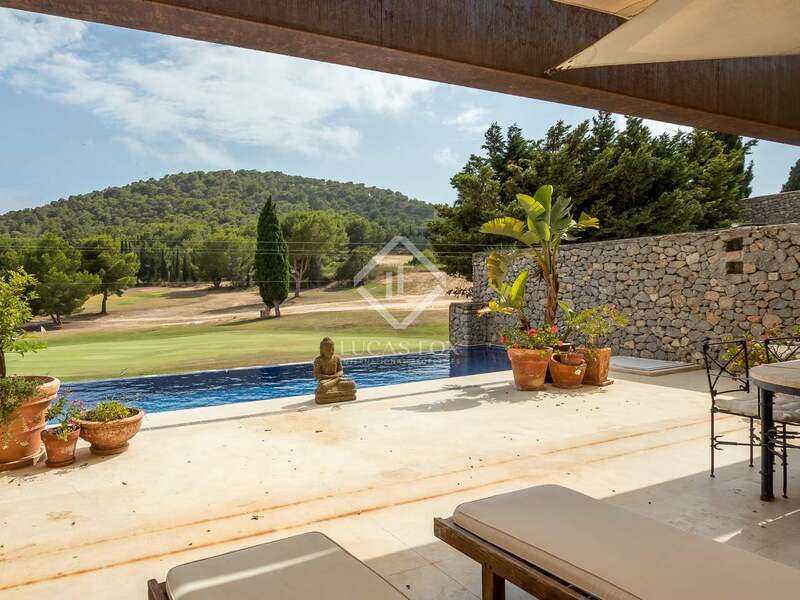 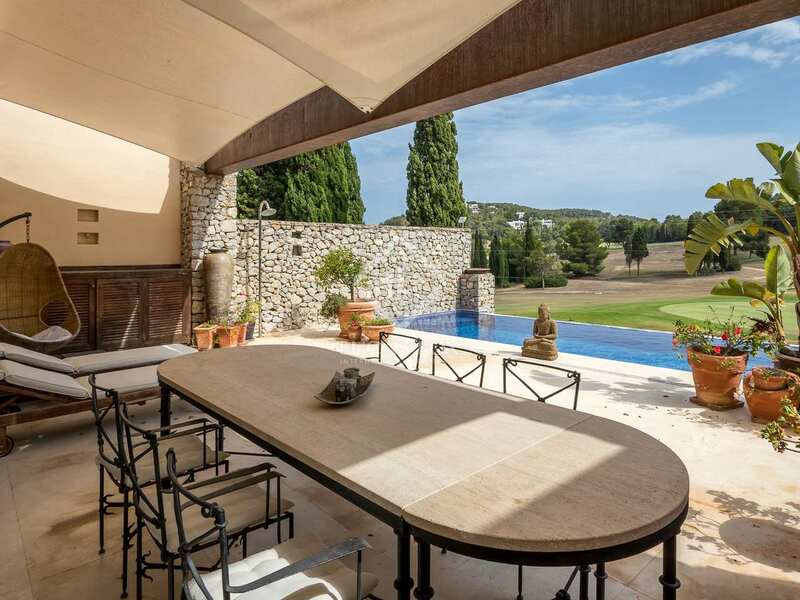 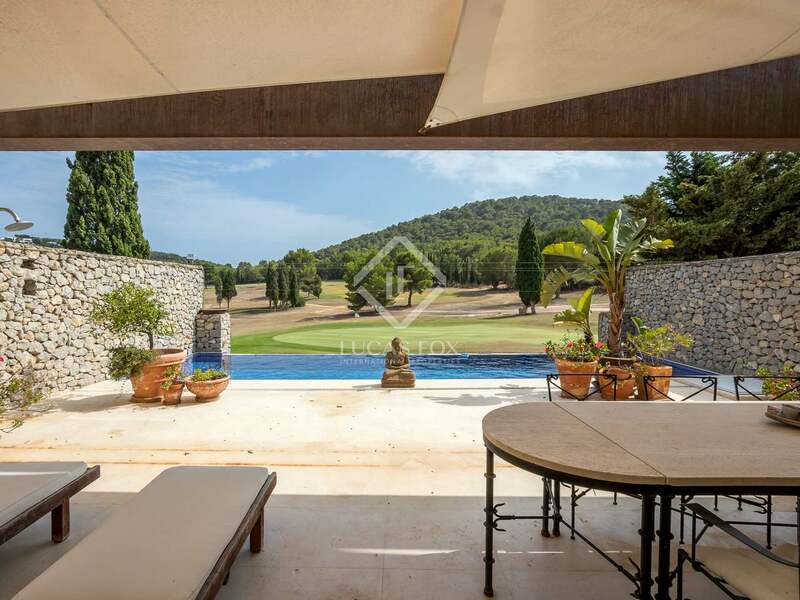 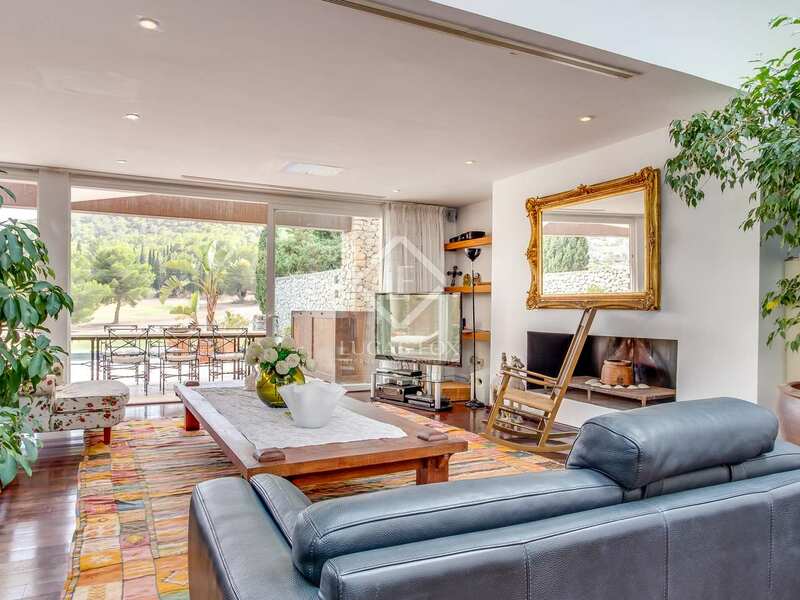 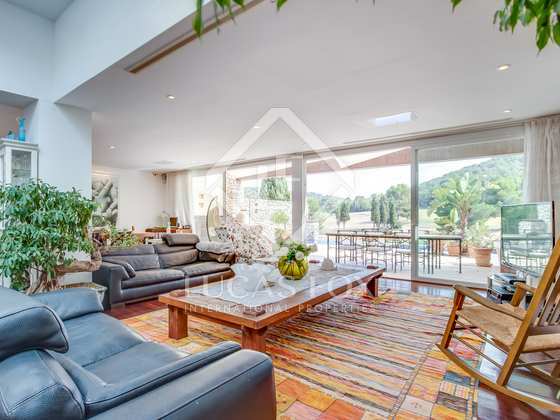 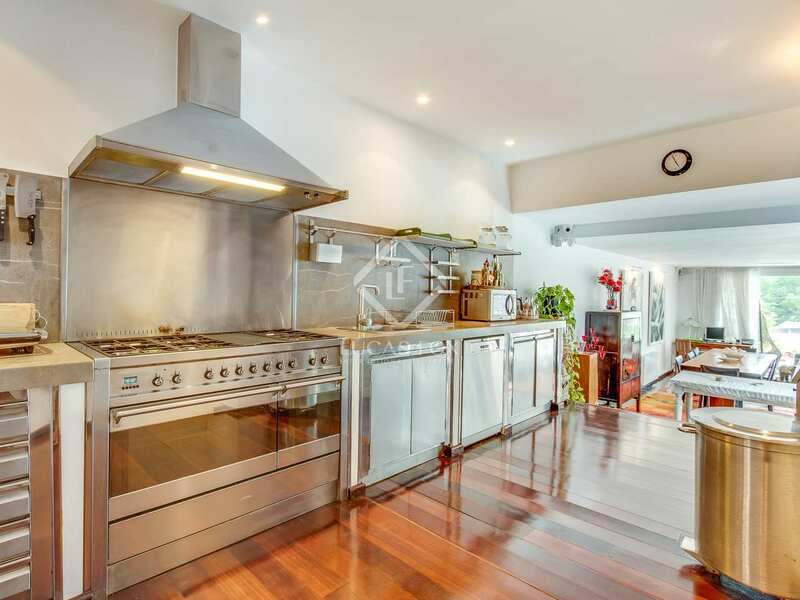 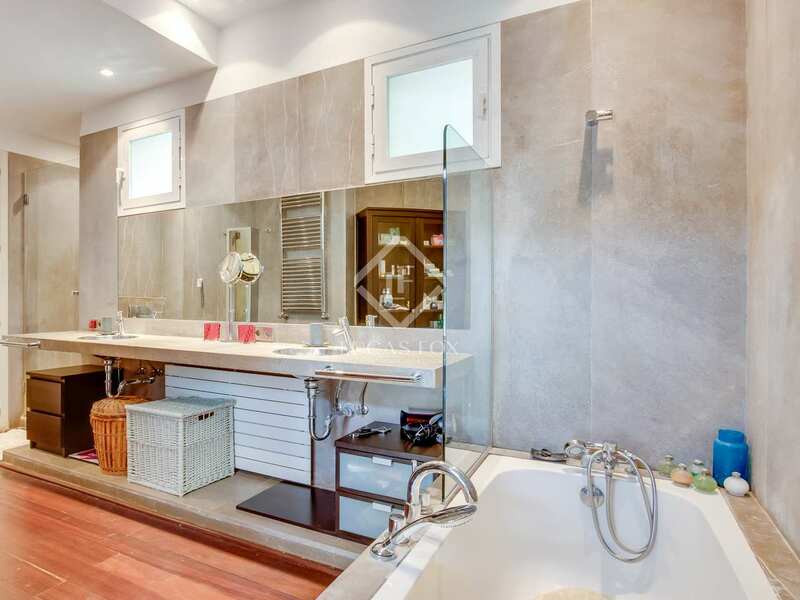 This house of 196 m² is located on the front line of the golf course in a very quiet community called Roca Lisa. 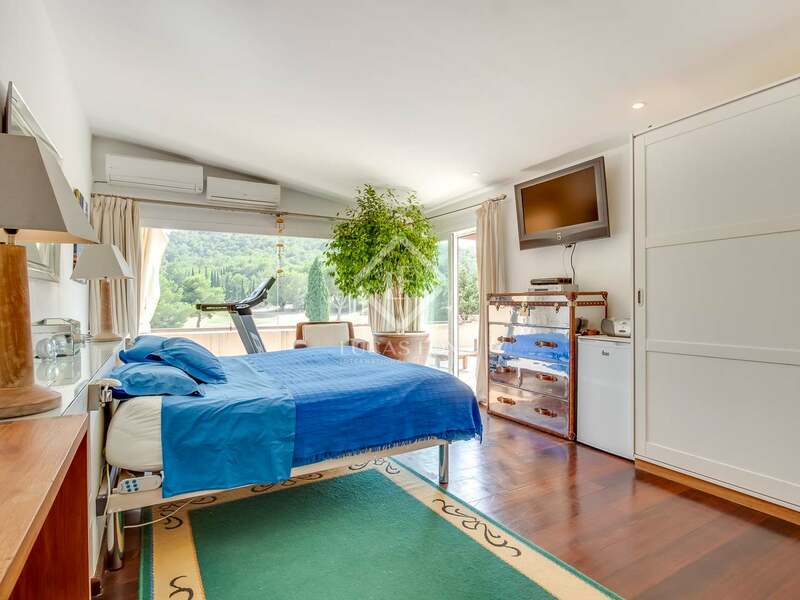 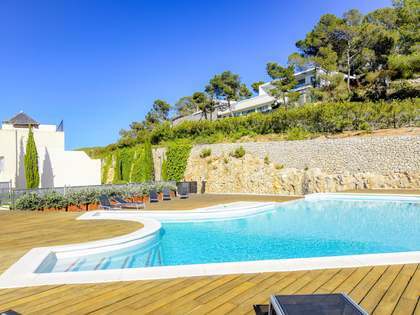 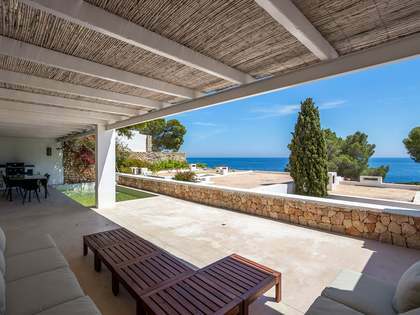 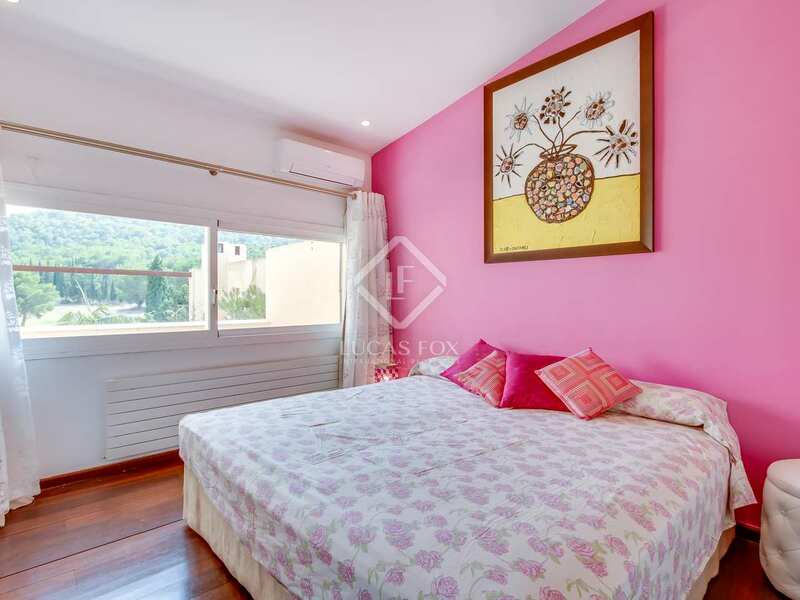 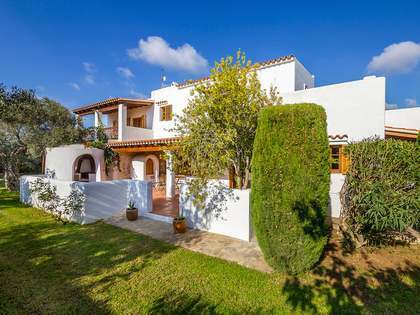 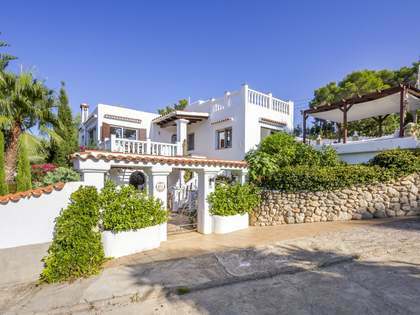 It is located about 10 minutes from Santa Eulalia and the centre of Ibiza in a very secure area. 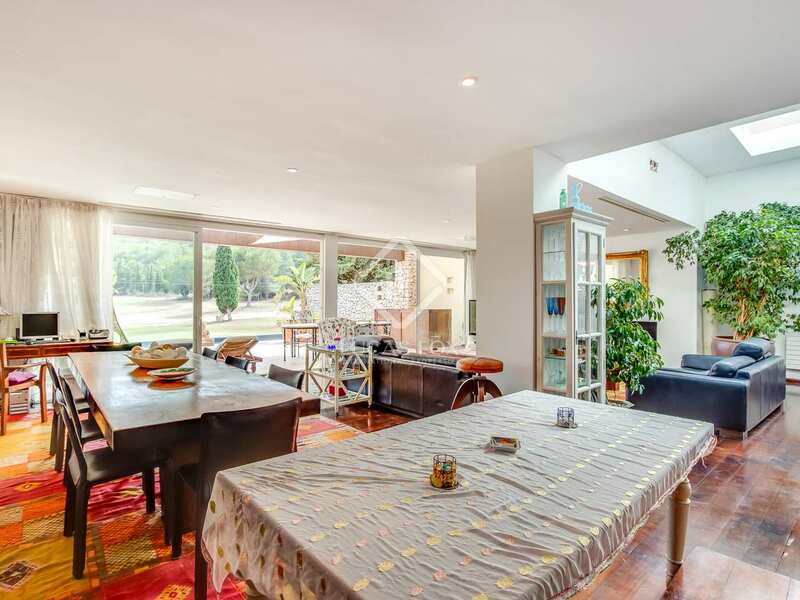 The ground floor of the house has a very large living-dining room with a large open and fully equipped kitchen, as well as a double bedroom currently used as a living room. 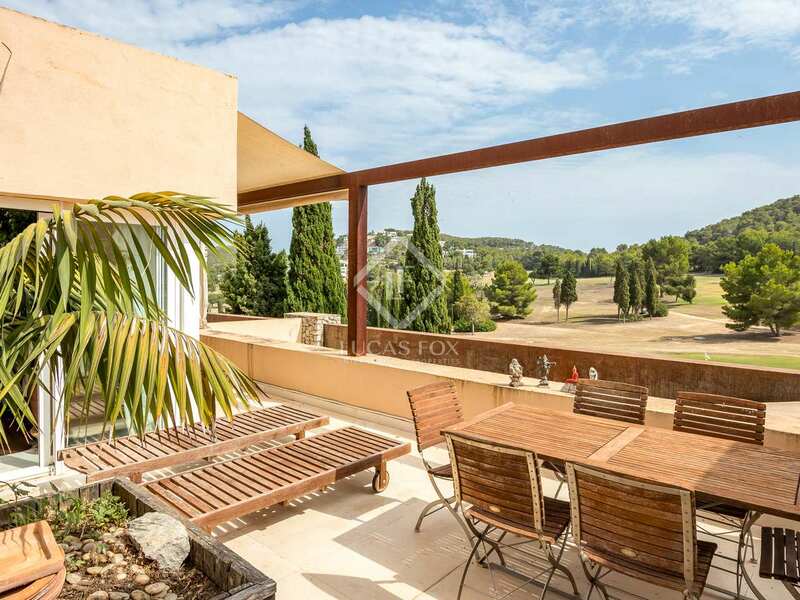 From this open space you can access the large terrace with an awning, barbecue and infinity pool overlooking the golf course. 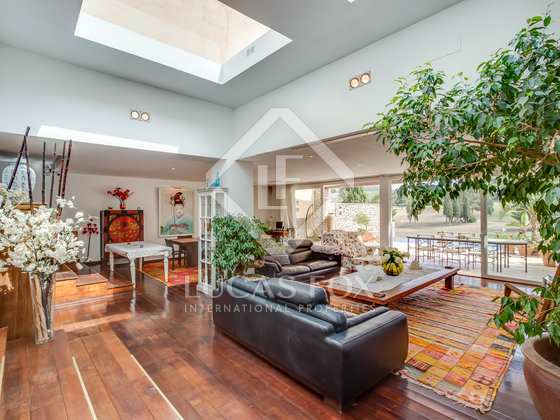 The back of this floor has a patio with access to a studio with a study and a bedroom with a bathroom and shower. 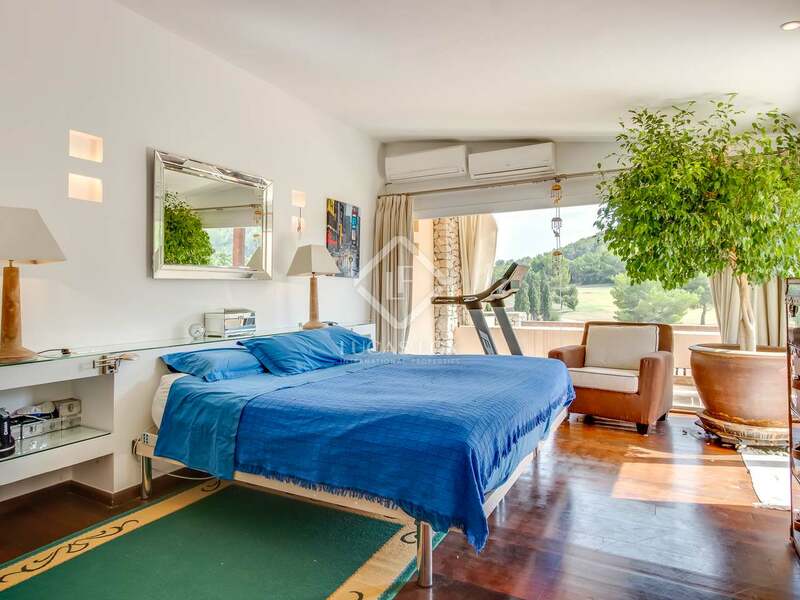 The upper floor offers 2 double bedrooms sharing a spacious bathroom, the main one has open views to the golf course and a large terrace. 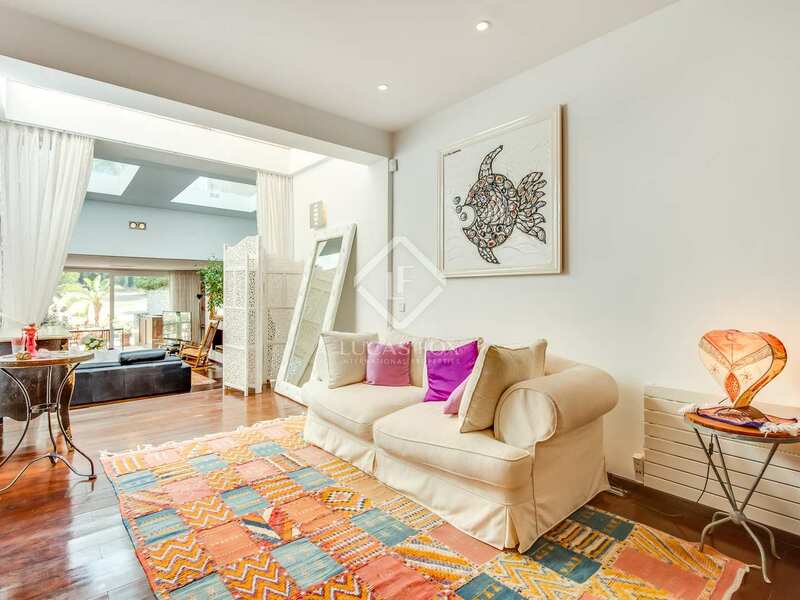 Some additional features in this exclusive house include air conditioning, a fireplace and security alarm, plus it is delivered with a parking space in the basement, just next to the entrance of the property. 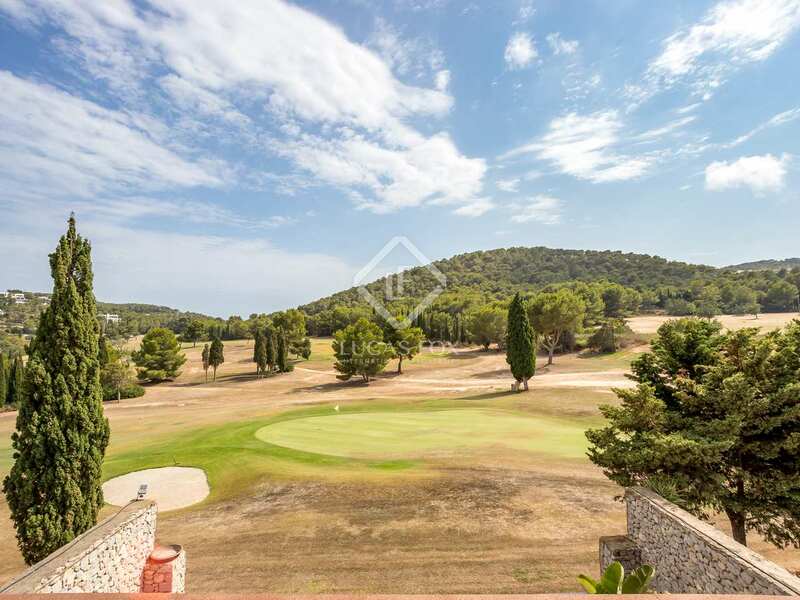 Ideal for families or golf lovers because of its incredible location on the front line of the course. 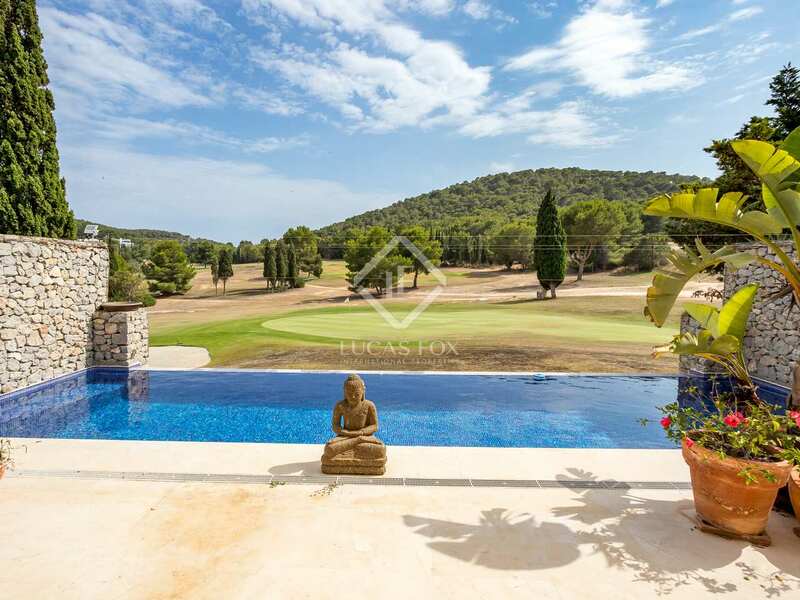 It is located in a very quiet and safe community called Roca Lisa in front of the golf course. 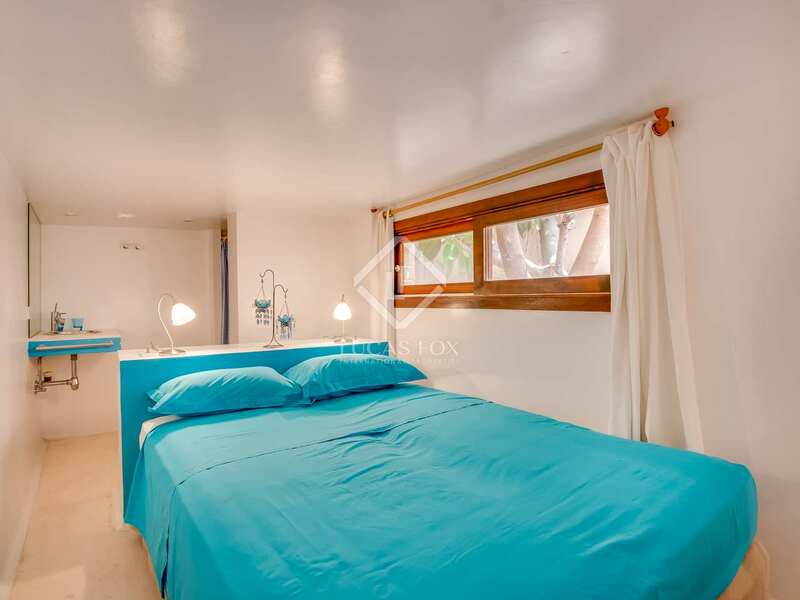 It is 10 minutes from Santa Eulalia and the centre of Ibiza and a few steps from the beautiful cove of Olivera.